Ten Portions of Fruits and Vegetables Daily? Author SimaPublished on February 27, 2017 February 27, 2017 Leave a comment on Ten Portions of Fruits and Vegetables Daily? This past week a study was published linking 8 to 10 portions of fruits and vegetables per day with a lower risk of early death, cancer, heart disease, and stroke. This confirms other research linking many daily servings of fruits and vegetables with various health benefits. For example, the study findings discussed in the Nov. 2, 2016 post: "Eating lots of fruits and vegetables (more than 10 servings a day!) is linked to better cognitive functioning in both normal weight and overweight adults (both young and older adults), and may delay the onset of cognitive decline that occurs with aging and also dementia." This new study led by researchers from the Imperial College London reviewed 95 previous studies of the relationship between diet and health. They found that people who ate 10 portions of fruits and vegetables a day had nearly a third lower risk of premature death and stroke than those who ate very little or no fruits and vegetables. The researchers pointed out that as the amount of fruits and vegetables eaten daily went up, the health benefits also increased (lower risk of heart disease, stroke, cardiovascular disease, cancer), and the risk of premature death decreased - thus a dose related relationship. So better to eat some fruits and vegetables than none! 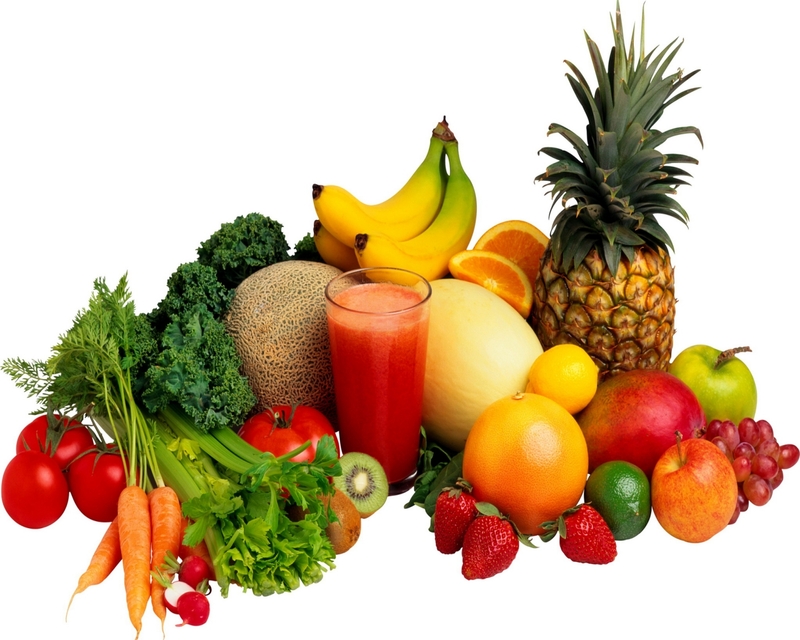 A portion is about 80 grams, equivalent to a medium apple, 1 banana, or generally about 1/2 cup of vegetables or fruits. A fruit and vegetable intake above five-a-day shows major benefit in reducing the chance of heart attack, stroke, cancer and early death. This is the finding of new research, led by scientists from Imperial College London, which analysed 95 studies on fruit and vegetable intake....the greatest benefit came from eating 800 g a day (roughly equivalent to ten portions -- one portion of fruit or vegetables if defined as 80 g). Previous article:Do Probiotic Supplements Stick Around In the Gut?